I have long thought about making a handmade vase. My recent interest in water bottle crafts has helped me to manage the task. I cut off the top part of the water bottle. 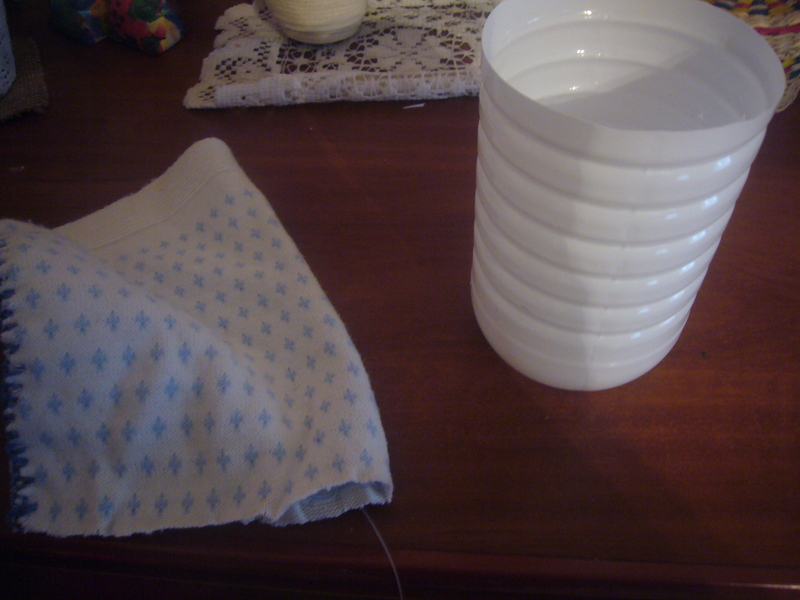 Then I measured the baby dress against the bottle size and cut the piece out. Since the material is crocheted, the dress can be easily pricked with the crocheting hook. I crocheted over the side edge of the material. I got a tube made out of it. Then I pulled in onto the water bottle. 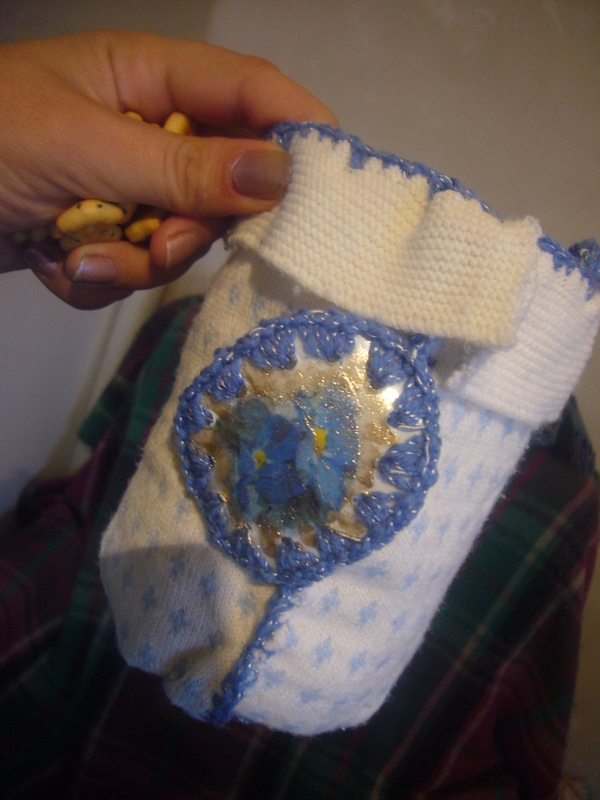 I pricked the holes with the pricker on the top edge of the water bottle to crochet the material to it. 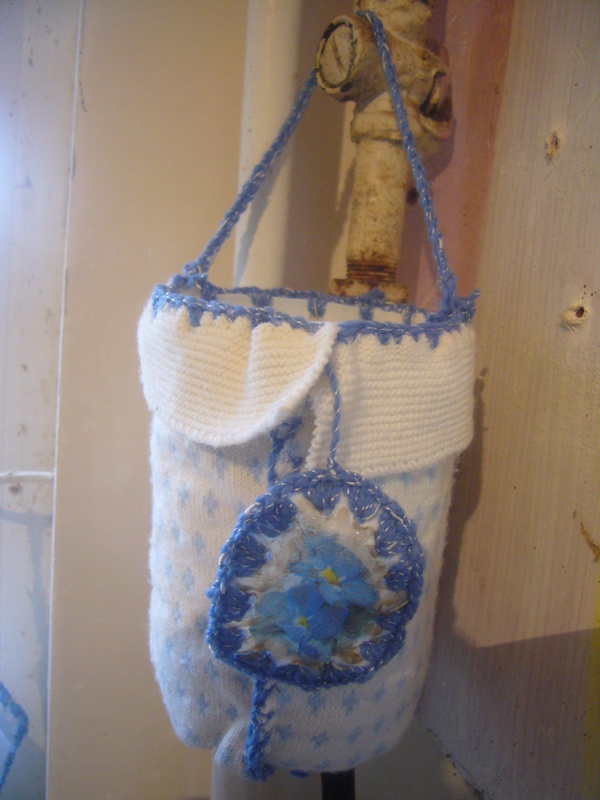 Finally, I have attached the medallion and crocheted the chain handle for the vase. 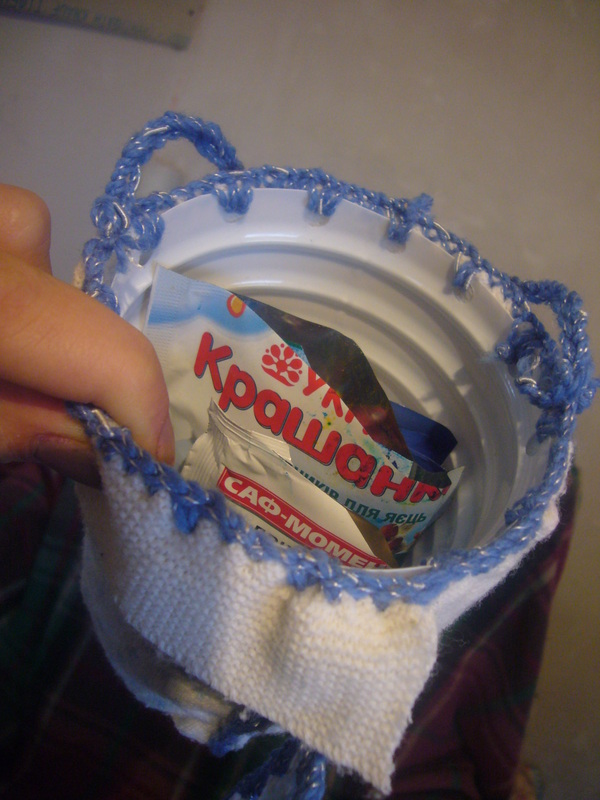 I have also crocheted together the bottom part of the material beneath the vase. Presently I’ve decided to use this water bottle handmade vase to store my spices in. But it can be also used as a vase, it can hold the water in. This entry was posted in Crocheting and tagged busy moms, creative tips, creativity, crochet, crocheting, DIY, eco art, green crafts, green living, handmade, home decor, plastic bottle crafts, repurpose, reuse, tips for moms, upcycling, water bottle crafts, water bottle handmade vase. Bookmark the permalink.